The golf swing is one of the most violent rotational movements you can perform in all of sports. By repetitively executing the same motion in one direction, it’s no wonder why injuries like oblique and lat strains, back spasms, and chronic hip pain and discomfort are at all-time highs. Exerting and absorbing force to the best of our capabilities through rotational motion is done via training rotation in the weight room. The stronger we can get with anti-rotation and rotational movements, the more likely we are to mitigate our chances of injury down the road. Here are three drills we like to use to build isometric, eccentric, and concentric strength. These are the three types of muscular contractions that can be executed, and should be performed throughout the course of the golf offseason to improve the quality of your movement and golf potential. The Pallof press, or anti-rotation press, is a drill we use a ton to create isometric strength through the torso of our golfers. A strong torso helps prevent energy leaks between the upper and lower extremities throughout the entire swing. Swing mechanics aside, the longest hitters on the planet are also the strongest and have the best grasp on their joint movement through each repetition. Eccentric contractions are an excellent way to increase the strength and durability of the connective tissues (muscles, tendons, ligaments, etc.) involved in the movement that you’re performing. Eccentrics are our favorite way to increase the size and density of these tissues, as well as improving range of motion. Beware, these contractions are taxing and can leave you pretty sore, so you shouldn’t hammer yourself with a bunch of eccentric exercises the day before a weekend golf outing. 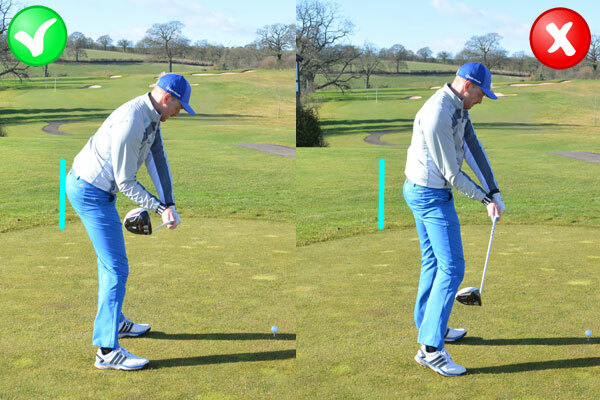 As we get closer to the golf season, we start to put more of a premium on concentric movements versus eccentrics. The concentric-focus of an exercise is more challenging to perform than eccentrics, but they’ll also leave you less sore from a muscular standpoint. This occurs because the muscle is shortening, rather than lengthening (eccentric contraction), which results in less microtrauma to the muscle. From a programming standpoint, are all of these exercises are accessory movements that we’ll implement after total body exercises like squats, deadlifts, and pull-ups, to name a few. We like to program the pallof press and cable chop for 2-4 sets of 8-12 reps, and we’ll use the eccentric neural grooving drill for 2-4 sets of 4-6 reps because they’re performed at a much slower tempo. Remember, this is our personal preference and isn’t a written rule. Experiment and see what works best for you. Interested in learning more about our Remote Coaching Program to take your golf performance and longevity to the next level? Drop us a line below, and let’s start your 2019 offseason the right way! Today’s post comes from a phenomenal swing coach out of NYC’s Golf and Body, Joe Ostrowski. As movement providers, Frank and I work on improving stability in the hinge position via improving mobility and strength. When your body has the movement potential to do what you ask of it, your golf swing can get better. But gym success doesn’t instantly equate to golf success. This is because you need to take your new found strength and mobility and learn to utilize it in your golf swing. This is where your swing coach comes into play helping you to break old habits, and create new ones that are specific to your golf swing. Early extension, or coming out of ideal posture on the downswing, is defined by TPI as any forward movement (thrust) toward the golf ball on the while closing in on impact. This concept of early extension can create the feeling of being stuck in the downswing causing a block or hook if your hands become too active at impact. While teaching lessons, I come across many golfers that extend too early as a way to create power, but this leads to inconsistency, especially with contact which trumps everything in the golf swing. Inconsistent contact is a result of early extension because our hips thrust towards the golf ball and pressure moves from the midfoot to the toes during the downswing. This movement makes it more difficult to rotate the lower body and create separation from the upper half at impact. Golf ball contact is typically skewed towards the heel of the club when you extend early because there is no space for the hand path to work around the body. Another consequence of early extension is thrusting of the lower body, which pushes the hand path too far to the right of the intended target line if you are a right-handed golfer. The opposite applies to lefties. Next time you’re watching YouTube videos of professional golfers swing, pay attention to their forward bend or posture in transition. After the golfer moves laterally to the target, you’ll see a slight increase in their torso bend, a squatting motion that likely is a result of good left hip internal rotation for a right-handed golfer. This movement also helps the golfer use the ground to create power and helps ground reaction forces peak at the optimal time in their swing. The “wall drill” is a great way to feel some of the movements needed in the golf swing to eliminate some of that early extension in your movement. If you decide to use a club for this drill I’d suggest gripping down on a wedge to the shaft and swinging at 25%. You could do some damage to your walls if you have an inside and quick takeaway. Set up with your hips slightly off a wall, no more than a couple inches. Turn into your backswing feeling your trail hip make contact with the wall. At the top of your swing, you will start to slide the trail hip along the wall until your front hip is over your front foot. From here squat and turn your lower body until your front hip makes contact with the wall. This movement helps you maintain posture in a key point of your golf swing. After impact, fully extend your upper body into a finish position, all weight should be on the front foot and your foot should be firmly planted on the ground. Repeat this drill multiple times daily to help ingrain the movement into your full swing. I hope this drill helps you hit the ball further while creating more consistent contact with the face. If you have any questions, follow me on Instagram @jfogolf and send me a message. I’ll be happy to help you troubleshoot any technical breakdowns you might be dealing with! Joe Ostrowski is the Director of Golf at Golf & Body NYC and a Golf Digest Best Young Teacher in America. As a preface to this post, we’d just like to say that we have zero affiliations with any of these products listed below. We strongly believe that everything we’ve laid out is simply a tool you should have access to at home in order to elicit optimal training and recovery results. We get asked all the time by individuals that don’t train at our gym/clinic what they should do if they don’t have a gym membership. Without access to a local gym, it can be challenging for people to stay consistent, build strength, and see long-lasting results. While nothing will beat a well-equipped gym and awesome training environment, you can still train hard and see progress with minimal equipment at home. With the holidays right around the corner, here are some of the products both of us believe you should invest in for yourself or a loved one. We love kettlebells, plain and simple. They’re a staple we use within all of our programming as long as our clients have access to them. While kettlebells are great for strength and power development in all three planes of motion, which we’ve covered in previous blog posts, they’re also an excellent tool to implement with beginners. Deadlifting, squatting, lunging, carrying, rowing, and pressing variations are all drills we can use kettlebells for. As we improve on these basic movements, we can progress them into my ballistic drills like swings, cleans, and snatches to increase power output or improvements in metabolic conditioning. As you can see, kettlebells can be used to improve numerous trainable characteristics. Personally, our favorite brand for kettlebells is Rogue Fitness. They’re extremely durable, have a great grip, and are more affordable versus other brands on the market. If you’re shopping for kettlebells, this is definitely our go-to option! Like kettlebells, the TRX Suspension Trainer is versatile in regards to eliciting a positive training response. There’s tons of exercises you can do to develop strength with the TRX. It’s also a great tool for creating better movement awareness because you can do a bunch of tempo-based training with it (slow controlled movement under tension). The TRX is typically thought of primarily as a tool for inverted rows, but you can train any joint of the body using it. We’re a big fan of using bands for clients to provided external resistance or assistance for exercises used in both the performance and therapy realms. A few movements that come to mind are pull-ups, clam shells, and lateral band walks. While bands won’t be as effective as developing strength as kettlebells, they’re a good tool to have around because of how portable they are. Going on vacation? Heading to the driving range or course? Traveling for work? In all of these scenarios, you can pack your mini bands with you without issue and execute mobility drills or full-body workouts with a little creativity. We’ve been using Perform Better’s mini bands for almost a decade now and have had great success with them. In regards to super bands, there’s a handful of different brands that come to mind that produce durable bands that will hold up for a long time - Perform Better, Rogue, and Elite FTS are the first that come to mind. Nothing fancy here, but a jump rope is something we recommend all of our clients own. We love the jump rope far beyond the aerobic training qualities it provides you. We incorporate jumping rope into our programming for folks to understand how to absorb force and land softly while jumping. The repetitive motion teaches people how to accept force through their feet and hips in a controlled environment. For individuals coming off foot, ankle, knee, and hip issues, we implement jumping in appropriate doses when the time is right. We believe this is one of the most efficient ways to build better awareness and work capacity for the joints of the lower limbs. For beginners, any jump rope will do you justice. We recommend that you start in short bouts if you’re somebody new to the jump rope - 30 seconds to a minute will do you justice to start. As you improve and can go for longer periods of time, take note of the speed of your jumps as well. When you progress to a certain point, investing in a speed rope would be a wise investment to take your craft to the next level. Rogue’s speed rope is our favorite and there are a bunch to pick from. While foam rollers, lacrosse balls, and other self-massage tools might not be doing much in regards to creating tissue adaptations, they’re still a feel-good modality we’ll use with clients prior to sessions. This window of increased range of motion is temporary, but we like to use it to use mobility drills from Functional Range Conditioning concepts to load the joints to try and make this range of motion stick over time. For foam rollers, we like the TriggerPoint Grid because of its stiffness. We’ll also use the Grid with some of our mobility training to serve as an external “block” to create awareness for our joints. The Grid to us is multi-functional and is a great option because it’s portable as well due to its size. Another great tool we like is the Gideon Neck & Shoulder Self-Massage Tool. This is something Frank stumbled upon recently and loves to use after long car rides or periods of time sitting at a desk typing. If you’re somebody that does a lot of work in a sedentary position or suffers from chronic neck tension, this is a great investment. In regards to lacrosse balls, all of them will work. If you don’t have access to a lacrosse ball, baseballs and softballs are other good options to work with to pinpoint certain areas that tend to get tense. If these balls are too intense for you to start with, resort to something softer like a tennis ball. Like we mentioned, these are only five of the tools we use amongst clients. Medicine balls, barbells, dumbbells, trap bars, and benches are some other pieces of equipment we use, but it goes even further than that! We aren’t expecting you to outfit the best gym possible within your house. Instead, use this as a guide to figure out what you should have at your fingertips at any time to see the results you’re expecting. Whether it’s strength- or mobility-based, everything listed above can help you achieve your desired goals. At the end of the day, your body is the best piece of equipment you have. If you’re looking for a structured plan of attack to combat your goals, we can help. Drop us a message below and let’s get you working towards getting in shape for the 2019 golf season or that deep squat you never thought you’d be able to do. Together, let’s Drive Fitness Forward! When it comes to the golf swing, we all know how important thoracic spine (T-Spine) rotation is for both performance and injury prevention. When it comes to the entire upper body, however, there’s another joint that is often overlooked can limit your ability to swing the golf club. As we rotate our spine in one direction, we move into cervical spine (C-Spine) rotation in the opposite direction. Let’s use a right-handed golfer as an example. As a golfer rotates into his backswing, he creates T-Spine rotation to the right. Since the head remains still, looking at the ball, our neck is rotated towards the left at the top of the backswing. If cervical rotation is restricted actively, this can be detrimental to the amount in which you can rotate your T-Spine, potentially throwing off your swing. Here is the average player’s cervical spine mobility utilized during their golf swing on the PGA TOUR. These numbers were taken directly from the TPI Medical 2 Certification. Normal range is the ability to touch your chin to mid-collarbone on both sides without pain. While performing the test, make sure your mouth remains closed at all times. Opening your mouth to get your chin to touch your chest is considered a compensation. Pain is abnormal and should be addressed if present. Let’s take a recent example from Joe Gambino, one of the co-founders of Par Four Performance, to better understand this lesson. Joe has a history of neck stiffness and limited mobility throughout his cervical spine. In the past, he hasn’t had the opportunity to hit as many golf balls as he’d like, but the volume of swings has increased over the past six months. As he continued to play, Joe started to develop neck pain when moving into right cervical rotation and flexion, which are two movements required in the downswing. Roughly two weeks ago, his neck pain continued to amplify with each swing he took. The pain has been lingering since and he’s just starting to feel better. Joe hasn’t been able to hit balls in the meantime, and is probably going to be sidelines for another week or two. The moral of this story is - don’t be like Joe. We hope he’s learned his lesson, and is listening to his body to make sure his neck doesn’t flare up again in the future. Address your limitations now, so you can stay on the course and not miss time due to injury. Now, how should you train the neck intelligently? The exercises listed below are a great starting point to help you address and neck limitations you might be dealing with. Want to learn how to better assess yourself, and decrease the likelihood of injury through mobility training? Fill out the form below to learn more about our Virtual Kinstretch Classes or Online Training Program. Whether you’re preparing for 18 or a heavy lower body day in the weight room, the way you warm-up can dictate how the rest of your session unfolds. If you’re somebody that performs a stretch or two before taking some hacks on the driving range, or goes for a 5-minute run on the treadmill before squatting, you’re missing out on the important qualities a good warm-up can provide you. Below, we’ve laid out four principles that are considered in every single warm-up prescribed through our programming. While the exercises used may change depending on the individual, these four rocks are always covered to ensure an optimal warm-up. When it comes to preparing a warm-up series, our goal is to prime the body for the demands that it will be asked during a training session or competitive event. It’s never a good idea to hop into a demanding physical activity without some type of preparation. In our case, we’ll prescribe 8 to 10 drills that will start with low-level movements and gradually progress to high-intensity motions. This is typically initiated with a couple of ground-based drills, followed by Controlled Articular Rotations (CARs) for joints that will be used during the session, and capped off with more dynamic, multi-joint movements. Regardless of your physical endeavors, it’s not ideal to jump into it ice cold. Move around, allow your joints to provide more degrees of freedom and good things will happen. Our assessment process provides us with a ton of information in regards to the physical capabilities of each client we work with. It allows us to determine their strengths and weaknesses with movement, while giving us a strong foundation for how to attack their deficiencies. We always look at the flexibility and mobility of individuals at each joint to determine the appropriate exercise selection for them. If you don’t understand the difference between flexibility and mobility, check out last week’s post. The limitations we see through our evaluations allow us to create daily routines that fit the mobility goals of each person we work with individually. If you’re somebody that struggles with hip flexion, for example, we’re going to hammer movements that improve hip flexion consistently until it improves. Your warm-up should challenge you, but also improve the motions you should excel in based on the demands of your activities. As we’ve mentioned in previous posts, the body moves through three planes of motion - sagittal (linear), frontal (lateral), and transverse (rotational). The video below provides a better understanding of each plane of motion. It’s important to train all three planes of motion because your joints are exposed to all three on a daily basis. This triplanar nature of each joint within your body requires consistent stimulation every single day in order to maintain ranges of motion down the road. This is another reason why regular CARs practice is something we preach to everybody we work with. Your training session should be composed of different squatting, hinging, pushing, pulling, and carrying movements. Pushes and pulls are upper body movements, squatting and hinging are lower body movements, and loaded carries should be performed every single training session. Your training should dictate what your warm-up looks like. On a day where you’re squatting, it’s ideal to execute drills that will address the hips, ankles, and spine, which are the primary joints that require adequate range of motion to squat pain-free. On a day where you’re deadlifiting, hip hinging within your warm-up is a good idea. If you’re golfing, incorporate some type of low-level rotational movements prior to your round to feel looser once you step into the first tee box. With all of these factors in mind, this is an example of what a Par Four Performance warm-up might look like. Regardless of the approach you take, the four big rocks above will better prepare you for your sessions that anything else. If you take them into consideration the next time you plan on hitting a heavy deadlift or the range, you’ll move and feel great going in every time. Looking to get more specific with your warm-ups and training? Check out this link to learn more or drop us a line below to get started today!